Who would have ever expected a pope to be on the cover of Rolling Stone? 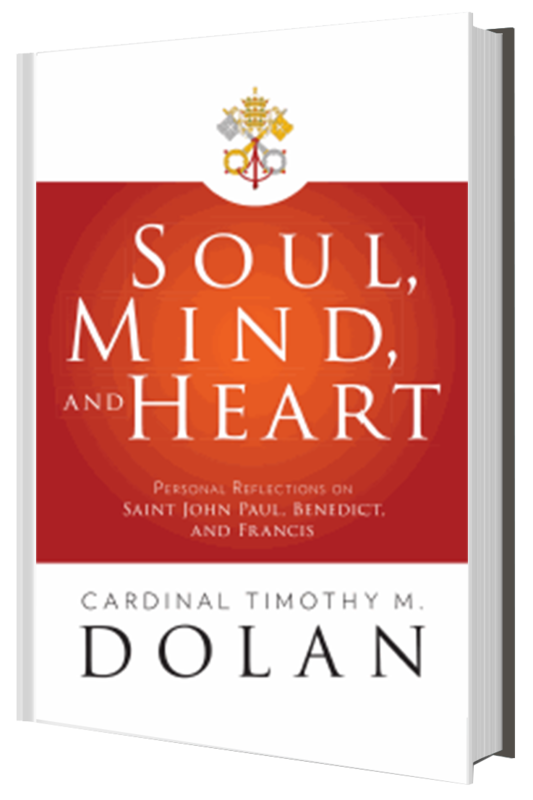 This fascinating e-book takes a look at three of the Church’s most beloved popes – Pope Francis, Pope Emeritus Benedict XVI, and Pope Saint John Paul II – all from Cardinal Dolan’s own experiences. Through their intense devotion to the Church, each remind us of, and encourage us to be renewed in soul, mind and heart! Download Soul, Mind, and Heart for FREE by joining the email newsletter from Our Sunday Visitor. Enter your email address below and get this special resource. Plus you’ll also receive access to exclusive teaching, product discounts, and encouragement designed to bring your faith to life!